It’s time for me to rank the Best Original Screenplay nominees, which is one of my favorite awards at the Oscars. One of the most important elements of a film is the screenplay and it’s essentially what it all starts with. Without a writer sitting down and writing a script, most movies would never come to fruition. In my opinion, screenplay writers are some of the most unappreciated workers in Hollywood and it makes me happy that they get the chance to have their work recognized in this category at the Oscars. Now some who aren’t familiar with the Oscar nomination categories might be asking why this category is called Best “Original” Screenplay and that’s because there are two writing categories at the Oscars, one being the aforementioned and the other called Best “Adapted” Screenplay. The only difference is that the Best “Adapted” Screenplay is exactly what it sounds like, adapted from a source material whether that be a novel, a comic book, a short film or a play, while Best “Original” Screenplay is an original story which could be completely new or taken from a real life story that hadn’t been told in another medium. Now with that out of the way, let’s get into the list. Keep in mind that I think all of these screenplays are exceptional but in ranking them I had to choose an order and it doesn’t mean that the ones near the bottom of the list aren’t great. 5) Bridge of Spies written by Joel Coen, Ethan Coen and Matt Charman. It’s almost crazy to think out of these five nominations I have the movie written by the Coen brothers at the bottom of my list. I actually really enjoyed Bridge of Spies, a lot more than most people, and the script is one of the stand outs of the movie. The way the story is set up and told is really good and the dialogue between Hanks and Rylance is some of the best between two actors all year. I totally understand why Bridge of Spies is nominated this year but I won’t understand if it wins since there were some far more superior original screenplays this past year in my opinion. 4) Straight Outta Compton written by Jonathan Herman and Andrea Berloff. These next four screenplays are so damn good in my opinion that either one of them could be number one on this list. 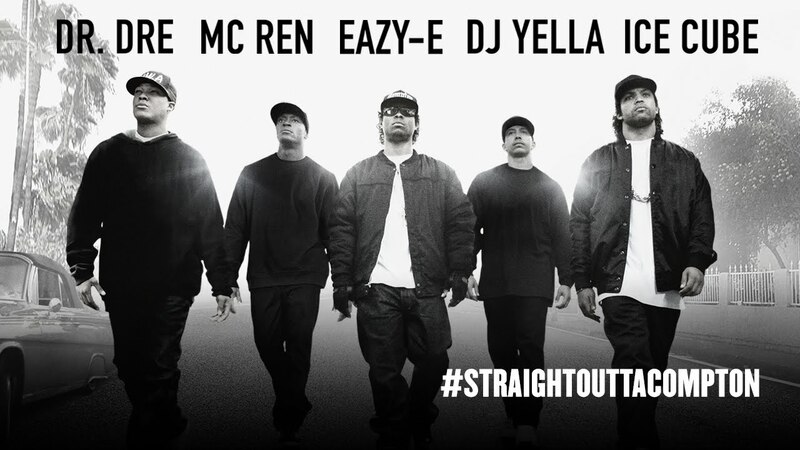 With that being said, I’ve got to go with Straight Outta Compton at number four even though I think it is an amazingly written screenplay and definitely deserves to be nominated. This might have been the hardest script to write on this list since the characters being covered are so beloved and the story of NWA is so meaningful to society and pop culture. I thought the writers did an excellent job of introducing the characters, showing the group form and exploring their success. I do however believe that the story fell apart near the end during the group’s falling out and after effect of it. This definitely prevented the Straight Outta Compton screenplay from being higher on my list but there is no denying it’s a quality piece of work. 3) Spotlight written by Josh Singer and Tom McCarthy. Some film fans might think I’m crazy for having Spotlight so low on this list but I have my reasoning and trust me it was difficult. I’ve seen the movie twice now and after the second viewing it began to sink in just how genius this movie is in general and especially how freakin’ amazing the screenplay is! This is one of those movies that reminds me how much I love film and why I do what I do. If you’ve seen Spotlight then you know that the movie is very dialogue driven and sometimes that can get confusing and/or boring. However, the story is so compelling that I never lost interest and the way dialogue is used to tell the story makes it so intriguing. So much so that you almost forget you’re watching a movie and just get lost in the story. Spotlight is a movie that emotionally made me angry due to the circumstances of the story and it being based on true events and I believe it was the writers’ goal to provoke anger from the viewers. The screenplay and writers deserve all the credit for telling the story so amazingly while making it interesting and entertaining to watch. 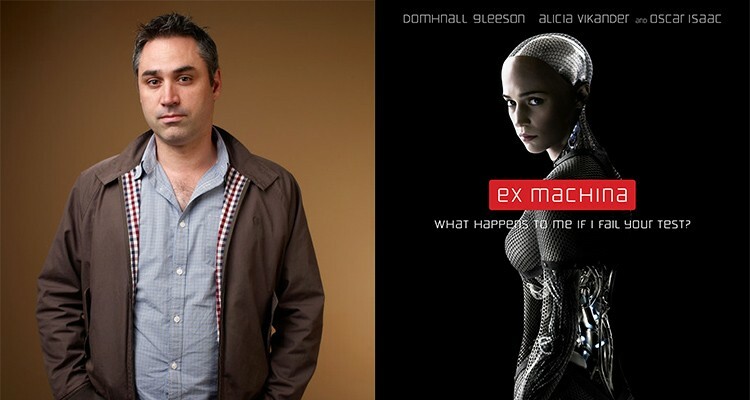 2) Ex Machina written (and directed) by Alex Garland. Again, so difficult to rank these last two screenplays, they are basically tied for me, but you can’t go wrong with either one. I’m telling you right now, if you have not seen Ex Machina then stop what you’re doing, find a way to watch it and then let your mind be blown! This is not only one of the best movies I saw last year but it is one of the best movies that I’ve ever seen in my life. Alex Garland, who wrote and directed the film, is an absolute genius as he solely created this story and brought it to life behind the camera. It’s almost impossible to tell a story about literally only three characters and have it be this interesting and intense. I was on the edge of my seat the entire movie and it’s weird to say that since it’s a really mellow and slow film for the most part. However, it’s one the most original sci-fi movies I’ve ever had the pleasure of watching and it has me praising Garland and highly anticipating what he does next. I really believe Ex Machina deserves to win this category and I would be so happy if it does, however I might be even more “joyful” if this next movie wins. 1) Inside Out written by Pete Docter, Josh Cooley and Meg LeFauve. I cannot express enough how much I love Inside Out. Animated movie or not, it is a masterpiece and one of the best films to come out last year. I am a little upset that it didn’t get nominated for Best Picture but you know, the Academy is the Academy. If it does win this award however, I will be somewhat satisfied and it will feel like a win for animation and Inside Out. I don’t think people realize how deep, smart and complex this movie is and that all begins with the screenplay. It is a movie made for adults to understand and digest but also for kids to visually and emotionally enjoy. I think it’s time for movie fans, critics and award voters to realize that just because a movie seems like a children’s film, doesn’t mean it is and I believe Inside Out should be mentioned with the likes of Spotlight, The Revenant and other movies that could win Best Picture, it’s that good in my opinion. If either Ex Machina or Inside Out wins this category I will be ecstatic and really feel like the Academy is making smart decisions and making changes to be more diverse in the type of films they award. This was probably the funnest ranking category for the Oscars I’ve done this year so far and I really hope it helps movie fans appreciate screenplays and writers a little bit more. I will be highly anticipating the announcement of this award almost as much as Best Picture and the acting categories. How about you movie lovers? What movie on this list do you think will win Best Original Screenplay? Do you agree with my rankings or not? Let me know in the comment section!